Published June 27, 2015 at 383 × 500 in Daffodil Line. The Ann Arbor Observer April, 2005. 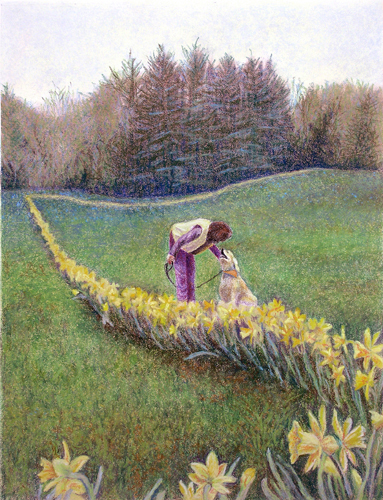 29″ x 23″ pastel painting of a woman and her dog next to the blooming line of daffodils in Gallup Park, Ann Arbor, MI.